It is a privilege to announce that the historical 3D animation film “Diolkos 1500 years” has been awarded with the “Best Antiquity” prize in the Cyprus International Film Festival (C.I.F.F.) at November 2009. The ‘father’ of the Greek participation through the film “Diolkos 1500 years” is Mr. Th. P. Tassios, Professor NTUA and Chairman of the Society for the Study of Ancient Greek Technology. It is a 22 minutes film, created by George Polyzos and Nikitas Mikas, with the technique of 3D animation. The subject of the film is placed somewhere in the middle of the 4th century and refers to Ancient Greek Technology in Ancient Corinth issues, such as shipbuilding, marine works, hoist, architecture, pumps and land transport. The wealthy and renowned area of Corinth had two ports: one in the north (named Lechaion in the Gulf of Corinth) and the other in the south (named Kenchreai in the Gulf of Saronikos). The ships which unloaded their cargo in Lechaion and continued their journey eastwards, instead of going around the whole of the Peloponnese, they traveled on land crossing through the Isthmus of Corinth (Diolkos) and subsequently the Gulf of Saronikos upon which they sailed to their destination. The reverse route was followed by the ships coming from the East and continued through the Corinthian. Diolkos, which for 1500 years served up thousands of commercial ships and warships, is considered an important National Monument. Major wish and goal of the “Association for the Study of Ancient Greek Technology” is that the movie “Diolkos 1500 years” will bring awareness to the state to accelerate the restoration work as well as the maintenance and promotion of the few parts of Diolkos that have survived until today. 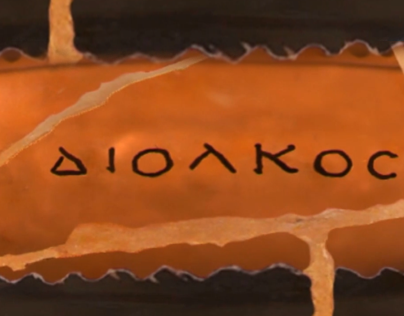 Enjoy the “Diolkos 1500 years” movie here. A marketing video costs a lot of money: True or Myth? What can a marketing video accomplish for my organization? Corporate video: Needless or needed?